What is Peace without Freedom? It is August 7, 1999. Like every year the victims of the 1945 atom bomb attack on Hiroshima are commemorated. The commemoration takes place in front of the Atomic Dome in Hiroshima, one of the few buildings in the area that remained standing during the bombardment. The edifice now functions as a peace monument. Over 5000 people have gathered at the other side of the river. They look at the impressive building. A voice of a young woman is heard through ten large speakers. Her face is invisible, only her hands can be seen. They move above the water while she speaks. She tells her heartrending personal story about the daily consequences of the bombardment, exactly 54 years ago. In 39 minutes the hands and voices of fourteen inhabitants of Hiroshima pass by. Fourteen different stories by people from diverse layers of the population and distinct generations. These accounts lay bare the hidden psychological, ethical and political effects of the bombardment. You hear the stories of the survivors, who had to deal with the official ‘justification’ of the American attack, and of second generation victims, who daily suffer under the psychological mistreatment of traumatized veterans of war. You hear the stories of slave labourers from Korea, who never were seen as equal victims, and of those born in Hiroshima, who are stigmatized by the prejudice and ungrounded fear that they have genetic defects that form a danger to society. The idea for this public projection came from Krzysztof Wodiczko. A year before, in 1998, he had received the Hiroshima Art Prize during the Hiroshima International Animation Festival. Every two years this prize is given to an artist who makes a contribution to world peace with their work. As Wodiczko considers himself non-deserving of this prize, he only accepts it on the condition that he will try to live up to it for the rest of his life. Wodiczko defines peace as follows: ‘If peace means that you are not allowed to speak your mind, criticize, defend your right to freedom of speech, then peace is not worth anything.’ This kind of peace reminds him of his youth in Poland under the communist regime. That is the end of democracy, whereof the consequences can be just as big as those of a war. 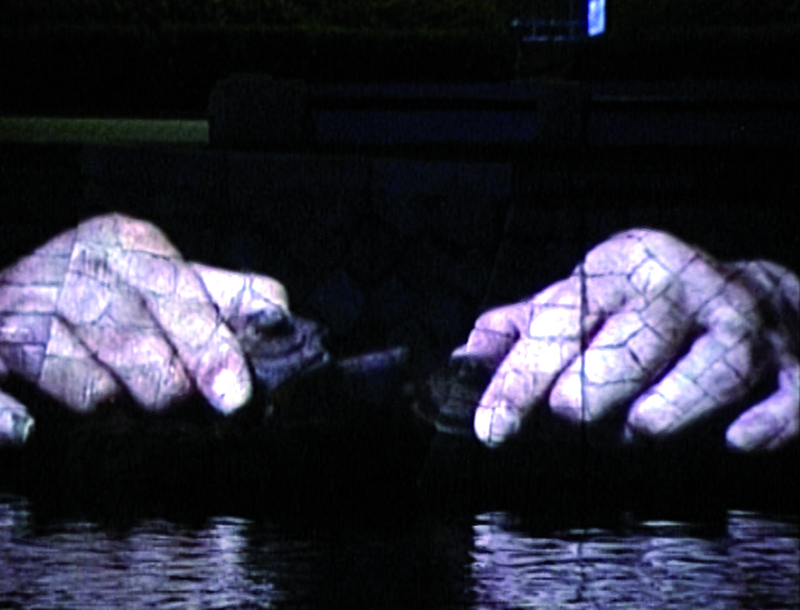 With the projection Wodiczko has brought the Atomic Dome to life with the voices and gestures of the inhabitants of Hiroshima. Various generations are given a voice: those who have seen the bombardment and survived, their children, grandchildren and great grandchildren. In this way Wodiczko connects these generations with each other and offers them the opportunity to tell what the bomb still means to them today in their daily lives. 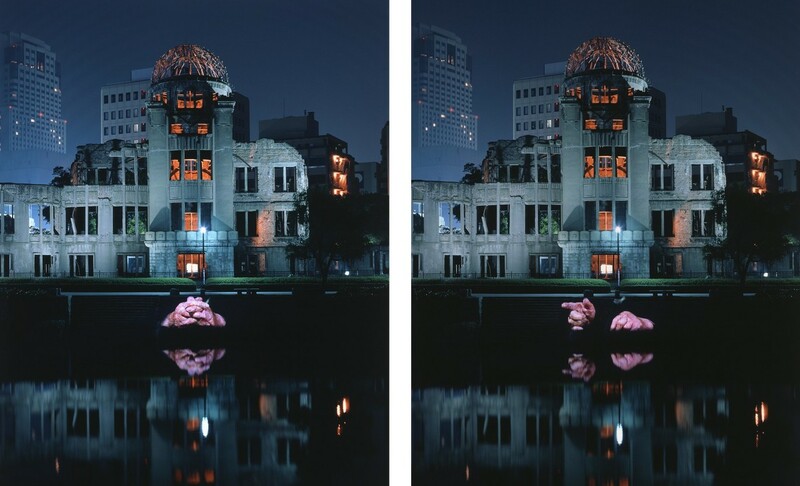 Krzysztof Wodiczko: The Hiroshima Projection, 1999, video projection, 39 minutes, Atomic Bomb Dome, Hiroshima. Krzysztof Wodiczko was born in 1943 in Warsaw, Poland, and lives and works in New York City and Cambridge, Massachusetts, USA. Since 1980, he has created more than seventy large-scale slide and video projections of politically charged images on architectural façades and monuments worldwide. By appropriating public buildings and monuments as backdrops for projections, Wodiczko focuses attention on ways in which architecture and monuments reflect collective memory and history. 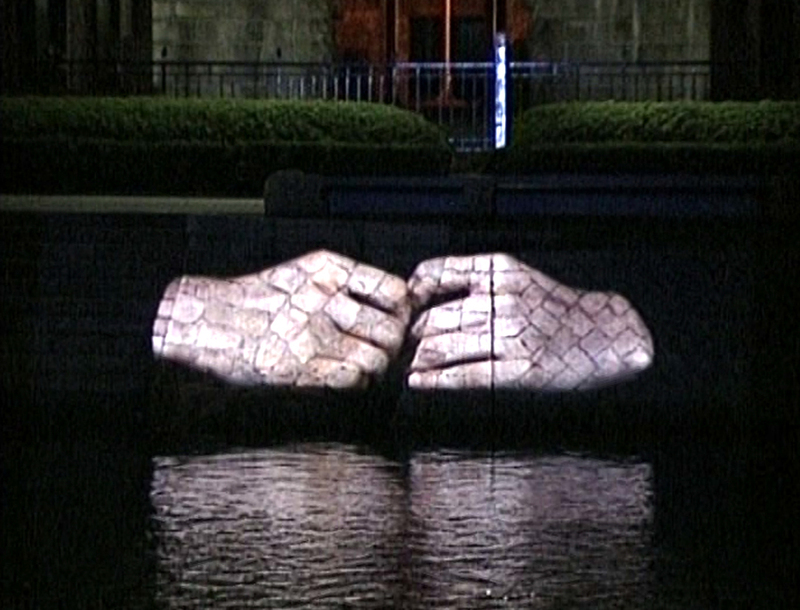 In 1996, he added sound and motion to the projections, and began to collaborate with communities around chosen projection sites—giving voice to the concerns of heretofore marginalized and silent citizens who live in the monuments’ shadows. Herma Kerssies-van de Belt (1981) is an architect living and working in Zwolle, the Netherlands. She did her studies in architecture at the Technical University of Eindhoven. Besides architecture she is interested in art and social themes.